EA Sports today announced “Rising Star” which will act as the career mode in the upcoming NBA Live 14. 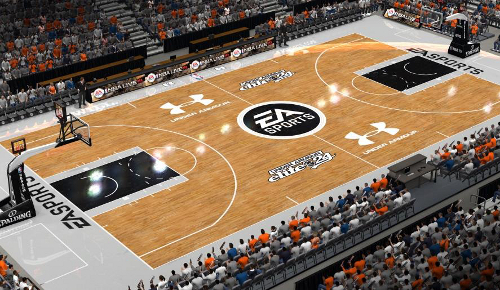 Rising Star will begin in the EA Sports Draft Showcase powered by Under Armour where draft potential will be determined. The mode allows for up to 25 years in the league with progression from being a bench player to an All-Star. Features previously announced include the next-gen EA Sports Ignite engine, a new dribbling system called “bounceTEK”, the inclusion of legends, and roster updates within an hour after every game ends. NBA Live 14 will be available will the launch of the PlayStation 4 (November 15) and Xbox One (unspecified November date).